Every Sunday all children (babies through 6th grade) experience safe, age-appropriate environments where the Bible is taught in a creative and relevant way. 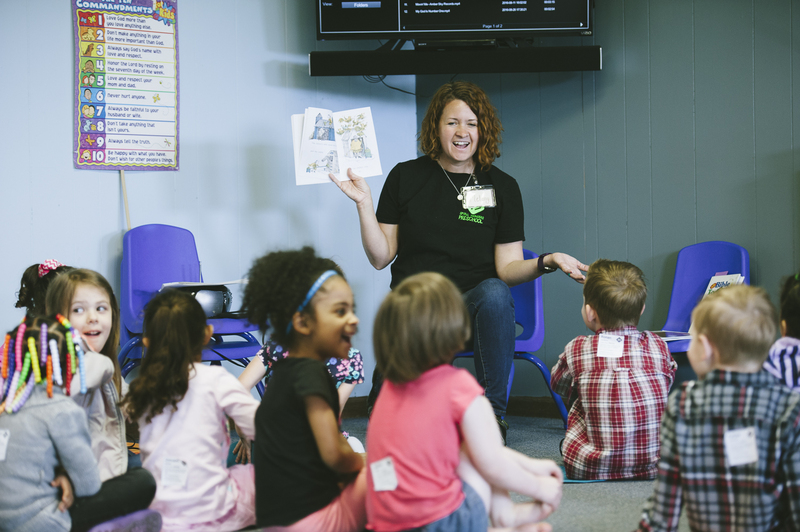 We are so passionate about kids learning about Jesus in a way they can understand that we create custom age groups for them where they can learn that their story matters! We would love to see you and your family visit. Join the fun and experience a world where kids meet Jesus on their level! We create a safe, clean, and welcoming environment to help your baby know they are loved and cared for. We work very hard to develop trust with you and your baby so you can enjoy the morning service knowing your little one is receiving personal loving care in a safe place! We love helping our 2-year-olds learn new thing and this environment gives them the opportunity to play with others, sing fun songs, and start learning more about Jesus! Explorers is a place where we introduce these three basic truths we hope all children will embrace: God Made Me, God Loves Me, and Jesus wants to be my friend forever! This is a stage where they are starting to discover so many new things and it’s our goal to guide them with love and consistent boundaries while creating a safe and caring place for them to grow. Preschoolers think like artists. They relate to an invisible God they can imagine. The One who designed the animals and created the flowers, the One who made them, and knows everything about them, who keeps them safe, and who loves them. Our goal in Small Wonders is to ignite their imagination, activate their senses, and structure their experience so they have a safe and embracing place to explore God’s truth and grow. Power Up is for kids kindergarten through 5th grade and is located on our 2nd floor. 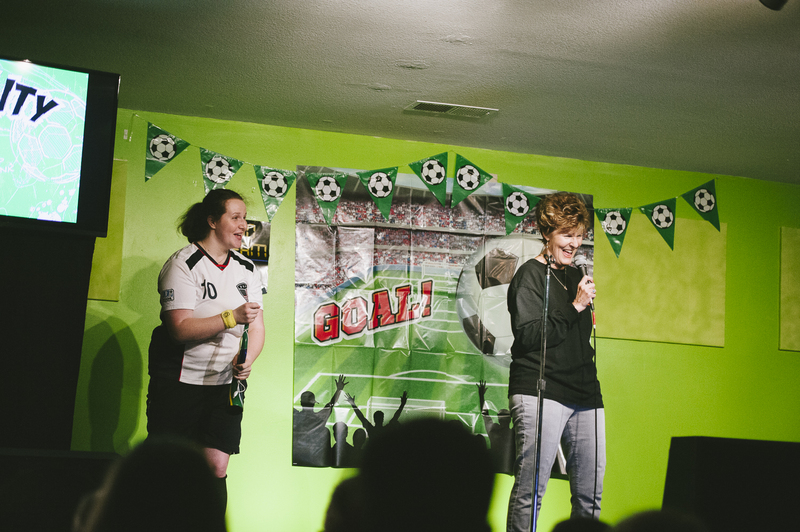 Our volunteers help kids take their next steps toward Jesus in a fun and engaging environment. In our large group gathering, kids sing, dance and listen to incredible, age-appropriate Bible stories. In our small group settings, kids begin building lasting friendships and leaders help them apply the Bible Story to kids’ everyday life through fun activities and meaningful discussions. Our goal is for every child to leave being able to say 2 things: I learned something today and I had fun! We realize that parents are the primary influence on their child’s faith and we want to partner with parents to see their child take a next step in their personal faith story!